Channel 4 is hoping to secure one of the most expensive broadcast sponsorship deals on UK TV for The Great British Bake Off, with bids starting at £8m. The free-to-air broadcaster is starting bids at £8m for Bake Off, which it bought from the BBC in a reported £75m three-year deal last month, according to The Guardian. The final of the seventh series of the show will air on the BBC on Wednesday evening. The show will move to Channel 4 in 2018. Currently TalkTalk holds the biggest TV sponsorship deal in the UK. The phone network provider pays about £10m a year to sponsor The X Factor on ITV. Paul Hollywood is the only star of the show who will follow Bake Off from BBC to Channel 4, with Mel Giedroyc, Sue Perkins and Mary Berry all ruling themselves out of a move. 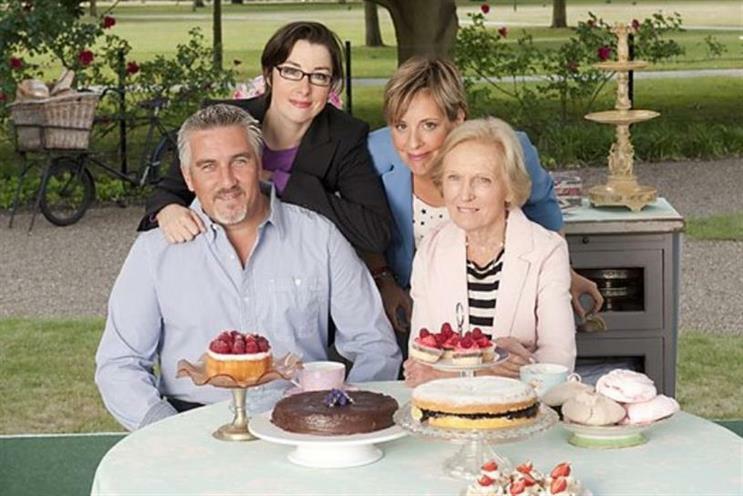 Will Great British Bake Off be commercially viable for Channel 4?